The Historical Gallery, located on the first floor of the Cultural Center, is open to the public Monday 10:00 am - 1:00 pm, Tuesday - Friday 10:00 am – 4:00 pm, and Saturday 9:00 am - 2:00 pm. The highlight is the Center’s permanent exhibition, Okage Sama De—I am what I am because of you. From the 1800s to today’s multicultural Hawai‘i, it chronicles the history and legacy of the Japanese Americans from the first immigrants to statehood. Guided tours of the Okage Sama De exhibition are available to public/private schools, colleges and organizations (minimum of five people per group). The 75-minute tour includes the 15-minute video Ganbare which is about the Japanese in Hawai‘i during World War II. 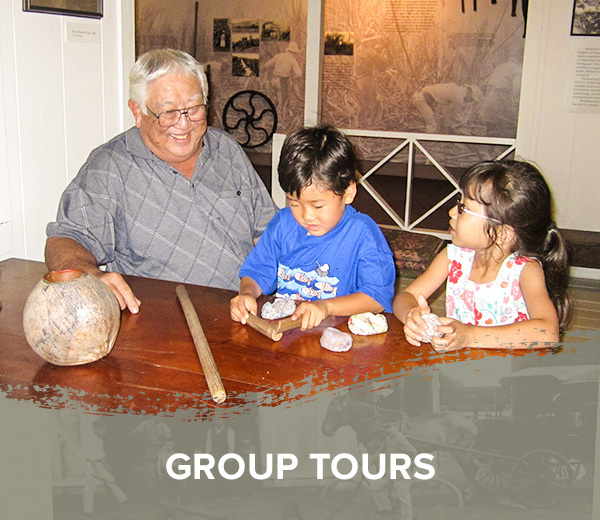 Docents can conduct the tour in English or Japanese and can be modified to meet the group’s interest. 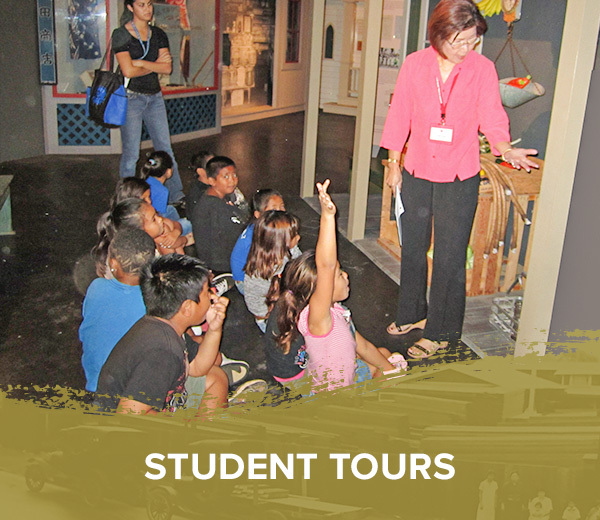 Tours are given throughout the year Monday - Saturday (except for holidays). A completed tour request form is required at least three weeks prior to visit.